Energy generation is facing a big challenge for meeting the load demand during peak hours. Power utilities are heavily depending on fossil fuels due to limited resources of non renewable energy generation. Therefore researchers and scientists are looking towards some distributed generators (DGs) to supply extra power during peak hours of energy curve. Solar power gives them an extra sniff to meet the load demand in that period. As a consequence grid-tied solar Photovoltaic (PV) system catches the eyes of researchers and industrialist mainly for reducing the burden of fossil fuel energy generation. Single stage or two stages PV systems are applicable for grid interconnection with or without battery backup. Double stage system is generally suggested for practical applications as it holds a benefit of power quality improvement. This article presents a comprehensive review on grid-tied solar PV system. The complete architecture of the grid-tied PV system includes the construction of PV array, MPPT methods, DC-DC converters, Inverters and control algorithms. 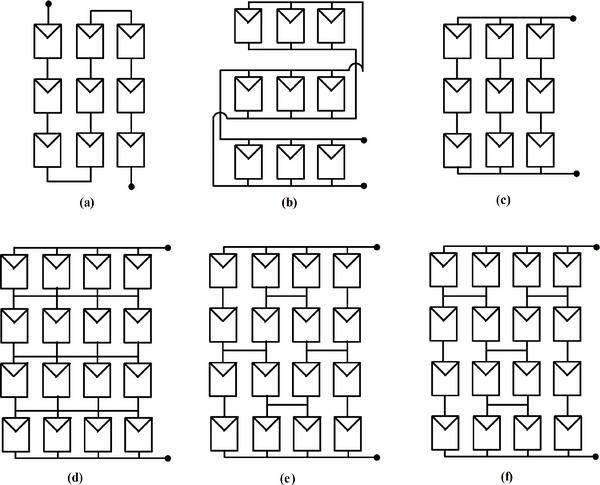 Different control techniques and topologies with their merits and demerits for grid-tied systems are thoroughly reviewed. The comparisons of different conventional and advanced control techniques justify the practicability of this architecture. Different topologies and control methods of grid-tied PV system are studied thoroughly to justify the potential of grid-tied PV system. Energy demand is continuously growing around the globe. In the past, most part of the energy demand was supplied by non renewable sources like coal, oil, gas etc. But they are depleting at a faster rate in recent years. So the researchers and scientists are trying to find some alternative solutions for required energy demand. Renewable sources like solar, wind, biomass etc. are the cost effective and pollution free solutions for providing green energy to all kinds of loads. Among the renewable sources, solar and wind are major contributors in the world’s energy arena. But the solar energy is foremost choice among the renewable sources because of its availability and promising nature for variety of power applications. The use of solar energy during peak load hours reduces the burden of online generators to meet the load demand. As a consequence the current status of research shifts towards the grid-tied solar photovoltaic system. Synchronization of PV system with utility and power quality issues like voltage/current harmonics, reactive power compensation, voltage flickering, voltage regulations etc. are major areas of concern for grid-tied PV systems [1–4]. But the use of advanced power electronics converters like interleaved boost, quadratic boost, inverters etc. in grid-tied PV system makes it suitable for operation. The maximum power is extracted from the solar with the help of fast tracking and advanced maximum power point tracking techniques (MPPTs) like hybrid MPPT techniques. These techniques include online/oﬄine methods for setting the maximum power point and soft computing methods for fine tuning. The extracted power from solar is shifted to another voltage level for the desired application with the help of DC-DC converter . The shifted power at DC level is converted in to the AC for standalone applications or grid interfacing with the help of inverter. However, the initial cost of installing solar PV system is high and conversion efficiency is low. Researchers are continuously making efforts to invent new topologies and control algorithms to extract maximum power from the solar. Silicon is used for manufacturing solar photovoltaic cells for converting radiations in to DC Power. As the advancement in the material is going on, the cost of material starts reducing. Therefore power bodies start promoting solar power generation . The government is also giving subsidies to promote the renewable sources of energy. Large scale production of solar energy is achieved by launching national solar mission in January 2010. To promote the production of solar energy, government has started subsidies to help individuals and institutions for solar installation at low cost . Indian Renewable Energy Development Agency has implemented this scheme with the help of National Bank of Agriculture and Rural Development (NABARD). This scheme was modified in 2012 to restrict the subsidy up to 40% on capital cost. In March 2015 NABARD has stopped the subsidies. In January 2016 the government has started ambitious rooftop subsidy scheme. In this regard the cabinet committee of economics approved INR 50 billion for funding 30% of capital cost of rooftop system . The government has also made a priority list. Public institutions, schools, hospitals etc. are at the top of priority list and residential projects are at the bottom of the list. In fact the subsidies for residential projects are becoming less and hard to get. The solar energy was available for one third period of a normal day in northern side of India. Roof mounted and building integrated solar power systems will act as active power source during day time. For the remaining part of the day the solar converters were switched off to save the power which occurs due to switching losses. These converters can be utilized for the remaining two third part of the day by using them as shunt active power compensator [3–7]. This will enhance the efficiency of the overall system . The main aim of this paper is to combine the different tactical aspects of the grid-tied PV system, which can be useful for power quality improvement as well. This study is useful to find the research gap in PV integration using power electronics converters. More than 120 research papers are significantly reviewed and classified in four categories. The first category [7–21] covers the PV modelling and PV array designing. The second category [22–73] is based on MPPT methods and their detailed study while third and fourth categories are based on converter [74–91] and inverter topologies [92–110]. The last category covers control algorithms [111–121]. This article is divided in eight sections. Section 2 gives a brief introduction of the grid-tied PV system with their progress. Mathematical modelling of PV system and PV array designing is presented in Section 3. Section 4 covers the classification of Maximum Power Point Tracking (MPPT) methods with their comparative analysis. A detailed study of DC-DC converters with their performance parameters are explained in Section 5. Different inverter topologies are covered in Section 6. Section 7 discusses the control algorithms used for the inverter control for maintaining active and reactive power supply to the grid. The conclusion and future scope of this study presented in Section 8. This section describes the history of grid-tied PV system with recent progress in the industry and academia [1–9]. In literature, different modelling methods of solar systems are available. The continuous efforts of the researchers from last two decades have successfully changed the small standalone solar system into grid-tied PV system. This brings a new parameter of pooling of some temporal exchanges in electricity market. Single diode and two diode models are presented with their complete mathematical formulations [9–21]. Single diode is preferred because of its simplicity and accuracy. Some advance technologies are trending continuously bringing some remarkable improvement in power extraction from PV system [22–25]. The soft computing technologies are showing great response under partial shading and continuously changing irradiation conditions. Some hybrid methods are already implemented for practical application showing high convergence speed and tracking the maximum point on PV curve with ease [26–31]. The output voltage/power of PV system is low and needs to be enhanced for the applications like grid-tied PV system, water pumping system etc. Therefore DC-DC converter plays a significant role in the architecture of grid-tied PV system. Basic DC-DC converters are of four types i.e. buck converter [81–83], boost converter [84–87], buck-boost converter [88, 89] and cuk converter [90, 91]. Conventional boost, buck-boost and cuk converters are regularly used for solar applications. Many topologies of high step-up boost converters are available in the literature, which are useful in suppressing current ripples and recovery losses. They are also possessing soft switching . Inverter is useful in converting DC power to AC power for different applications. Grid connected inverters, based on structure; i.e. central type, module type, string type and multi string type [93–95]. Central type inverter is widely used for low voltage applications because of its simplicity and better control. Multi string inverter can worked in high power applications with higher efficiency . There are more than fifteen topologies reported in the literature for single phase transformer less inverter. Multi level inverter is a suitable solution for grid-tied PV systems because of high power handling capacity, less switching losses and better efficiency. Cascaded H-bridge (CHB) topology of multi level family shows better operational performance in many practical applications like STATCOM, drives, compensators, grid-tied etc. The topologies for three phase system are derived from single phase topologies by using them in all phases separately [105–110]. Block diagram of complete architecture of grid-tied PV system is shown in Figure 1. All the constituents like PV array, MPPT, DC-DC converter, inverter and control algorithm have to be operated in synchronism to enhance the overall efficiency of this complete system. These constituents are elaborated and analyzed one by in the coming sections with the help of suitable diagrams. Figure 1 Grid-Interfaced Solar Photovoltaic System. Solar cells are used for photovoltaic conversion. The light radiations, which falls on solar cell is directly converted in to DC electricity. Single crystalline silicon cells were used for fabrication of solar cells in earlier days but monocrystalline and polycrystalline are dominating these days. A thin wafer of 250 µm is sliced from a silicon doped p-type crystal and n-type impurity is diffused to form a p-n junction. Therefore the operating characteristics of solar are similar to a p-n junction diode. There are no moving parts in solar conversion system, so it requires little maintenance and work properly in power varying scenarios. Where E is energy absorbed in electron-volt (ev), h is planks constant (6.62 × 10-27 erg-sec), c is light velocity (3 × 108 m/s) and λ is wavelength of light radiations. A number of equivalent circuit model of solar cell are available in the literature. Generally two-diode and single-diode models are used in the simulations. Single-diode model is more popular because of its simplicity and accuracy. The equivalent circuit of solar cell is generally represented by using Thevenin’s or Norton’s equivalent . Ideal diode model does not contain any series and parallel resistance but it is difficult to remove these resistances as they influence efficiency of the PV module [12–14]. Single-diode Thevenin’s equivalent circuit of solar cell consists of photon current source, anti-parallel diode and resistances (series and parallel resistances), which is shown in Figure 2. Figure 2 Single-diode Thevenin’s Equivalent Circuit of Solar Cell. Apply Kirchhoff current law at node A. Where Io is reverse saturation current through diode, Vpv is output voltage of PV or voltage imposed on diode, Ns is the number of PV cells connecting in series, K is Boltzmann constant (1.38 × 10-23 J/K), A is ideality factor which depends on PV cell construction and T is cell temperature. The Equation (4) represents the output current for practical circuit consisting of both resistances. The above nonlinear and inherent equation can be solved by using iterative methods. There are total five parameters in the describing equation of solar cell, which are directly or indirectly influenced by solar irradiance and surrounding temperature. Normally manufactures will provide few experimental data such as open circuit voltage, short circuit current, voltage at MPP, current at MPP and maximum power at Standard Test Conditions (STC). Usually the operating conditions of the practical system are different from the STC. So the calculations of these five parameters plays important role in the formation of PV array . By considering I-V characteristics, the slope becomes approximately zero at short circuit conditions. The value of parallel resistance (Rp) assumed to be infinite. In this condition last term of Equation (4) becomes zero and assumes photocurrent (Iph) as short circuit current (Isc). Where all the quantities of above equation are represented as reference values at STP. The coefficient Kref is calculated by using all other parameters at STP. The PV characteristics are largely influenced by the environmental factors such as temperature, irradiance, pressure, humidity, wind etc. The Irradiance and temperature are two prime factors which affects the output of solar PV system . The solar cell temperature rises due to increment in insolation (solar intensity) or due to energy loss in photovoltaic process. The output of PV system decreases with the increase in temperature. Therefore Voc of the PV system decrease with rise in temperature of the cell. Consequently Ipv of the PV system rises with the cell temperature. Clearly temperature and irradiance changes the value of output voltage and current. Hence the effect of temperature and irradiance should be accounted in PV modelling. The characteristic of desired PV is achieved by current-voltage translation method expressed by following equations . Where α and β are temperature coefficients, G and Gref are solar irradiance and their reference value, T and Tref are solar cell temperature and their reference value and a is correction factor of irradiance. The power generated by a single PV cell is very small. For high power applications or grid-tied conditions the output power and voltage is generated by a group series and parallel combinations of PV cells. These combinations are known as PV modules and they form PV panels. These panels are used to form a desired PV array. Different topologies are used in the literature for the formation of building integrated photovoltaic system (BIPS) and roof top photovoltaic system (RTPS) . Several PV array configurations proposed by the researchers are shown in Figure 3. Series and parallel topologies have some disadvantages like less current and less voltage respectively. Series-parallel (SP) configuration is proposed by connecting modules first in series and then paralleled the series strings to get the required voltage and current. Total cross tied (TCT) configuration is proposed to get equal voltages across the different ties and sum of the currents across ties. In bridge linked (BL) configuration a bridge is formed by connecting two modules in series and two in parallel to get the added value of voltage and currents. Honey comb (HC) configuration is just a modification of BL configuration to get the advantages of both TCT and BL configurations . Figure 3 PV array topology connections (a) series connection (b) parallel connection (c) series-parallel connection (d) total cross tide connection (e) bridge connection (f) honey comb connection [21, 22]. The overall efficiency of PV system can be enhanced by operating the system at MPP. The tracking of maximum power point on the PV curve, irrespective of environmental changes like temperature and irradiance is called maximum power point tracking. Suitable MPPT method is required to maintain the operating point at maximum power point, so that maximum power can be extracted from the solar PV system. MPPT techniques are employing to extract maximum power irrespective of environmental changes (temperature and pressure). Generally there are two ways of extracting the maximum power from the PV system: one is mechanical tracking and other is electrical tracking. Mechanical tracking consider as physical tracking. In this process the orientation of the PV system is changed according to the changes in the position of sun with some predetermined angle. The changes can also be made for the seasons of a complete year. The orientation changes are made with the help of some manual practice or with some automatic gear type arrangement. In electrical tracking the I-V curve is tracked by using some algorithms. PV parameters (voltage, current, temperature and irradiance) are sensed and fed in to the algorithm as per their requirement. The requisite MPPT technique computes the reference values for different parameters. The computed reference values are compared with the previous values at the converter end. Then, the present power at MPP is compared with the measured value. The differences between these values are minimized by changing the duty ratio of the converter. Mostly PI controller or Hysteresis controller is used to adjust the duty ratio of the converters but in some cases the duty ratio is directly determined by using different algorithms. MPPT methods are classified on the behalf of different features like control strategies, control variables, circuitry, cost etc. The objectives of all the available techniques in the literature are same but they differ in terms of complexity, convergence speed, tracking accuracy, cost etc. From the application point of view Perturb and Observe (P&O), Hill Climbing and Incremental Conductance (INC) are popularly used for grid-tied and stand alone applications. Besides, there are some other methods like open circuit voltage, short circuit current, which are useful for low cost applications because of less number of sensors required. Some other methods are also available in literature, which are not used practically but they can be used in future with some improvements. Broadly MPPT methods are classified into four main categories as shown if Figure 4. 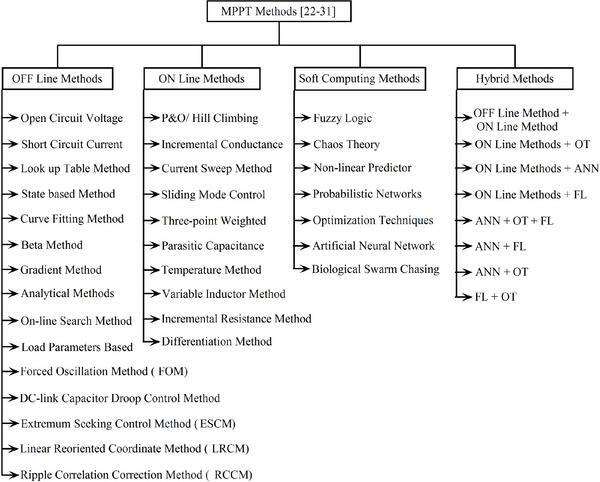 Figure 4 Broad categorization of MPPT methods. The first category (OFF-Line Methods) requires solar PV modelling and usually depends on the datasheet parameters and characteristics curves. These known parameters are applied in some mathematical empirical formulas to produce control signals for PV system. These control signals will remains constant throughout the operation of MPPT [23–26]. The second category (ON-Line Methods) required only instantaneous values of voltage and current to produce the control signals. A small perturbation is introduced in current, voltage or duty ratio to get the required output power. The control signal direction is achieved by observing the perturbation response on output power (either increase or decrease). That’s why the control signal cannot consider as constant like off-line methods and the system will always swings around MPP [23–26]. The third category (Soft Computing Methods) belongs to the intelligent techniques. The soft computing methods are used to improve the accuracy of the system, as they are able to handle the non linear problems . The availability of soft computing tools attracts the interest of researchers towards these fast, reliable, flexible and robust. Naturally the non linear PV curve can be easily tracked with the help of soft computing methods. Partial shading and rapid change in insolation are major problems with solar PV system. The flexible nature of soft computing techniques allows tracking of MPP under these conditions . Artificial Neural Network (ANN), Fuzzy Logic Control (FLC) and Optimization Techniques (OT) are most popular among the soft computing methods . Note: 2 – PV Array Dependent, 3 – Sensor Required, 4 – True MPPT, 5 – Prior Training, 6 – Complexity, 7 – Tracking Accuracy, 8 – Convergence Speed, 9 – Cost, 10 – Application, 11 – Analog/Digital Circuit, 12 – References. Notations: Y – Yes, N – No, S – Simple, M – Moderate, C – Complex, V – Voltage, I – Current, T – Temperature, Ir – Irradiance, V. High – Very High, Med. – Medium. The fourth category (Hybrid Methods) brings two algorithms at a time usually. Generally the first part of hybrid methods belongs to the OFF-Line group and calculates the constant value of the desired input parameter. The constant values are calculated by using set-point loop on fixed temperature and irradiation conditions. This part will follow MPP approximately and needs to be responded fast according to the changing conditions of the environment. Later on second part belongs to the ON-Line group or Soft computing group. This part tracks the MPP with great accuracy and brings down the steady state error. The environmental changes are also countered by fine tuning loop created by some intelligent and fast responded search spaces [27–31]. The practical scenarios are also considered by the researchers. Therefore some partial shading consideration and statistical analysis of various MPPT methods are also reported in literature [72, 73]. The comparison of different MPPT methods have been explained according to their control strategies, number of variables used for controlling, types of circuitry, complexity, convergence speed and cost of hardware implementation. DC-DC converter is used to step-up or step-down the PV output voltage according to the requirement. The operation of DC-DC converters performs two important tasks: integration of PV or renewable source with the grid and detection of MPP on the I-V curve with the help of some suitable MPPT control algorithms. Ideally switched mode power converters have 100% efficiency but in practical applications due to some conduction and switching losses the efficiency is reduced. The voltage wave shape has switching pattern and needs to be filtered out with the help of capacitors and inductors. Therefore switched mode DC-DC converters have at least one power switch with capacitor and inductor. Many circuit topologies of DC-DC converters have been already published in the literature. DC-DC converters are classified in two main categories: isolated converters and non-isolated converters. An isolated converter provides some isolation between input side circuit and output side circuit with the help of some electrical barriers. Isolation may be helpful in designing the multiple output ports with different voltage levels. Generally electric transformer is used for isolation purpose. Amplification and attenuation can also be achieved by changing the turn ratio of the transformer. Galvanic isolation can suppress the electromagnetic interference between source and load. These converters are considered as the extension of basic converters but the cost and size of the isolated converters are very high because of transformer and extra DC-AC conversion stage. They are useful in some specific applications where isolation is required. There is no isolation transformer in non-isolated converters. They are useful in low step-up voltage regulation conditions, that’s why they are implemented for the applications like water pumping system, standalone PV systems etc. Generally isolated converters are preferred for grid-tied PV system because of safety concerns. There are four topologies of DC-DC converters which are commonly used in solar PV system. They may operate in two different modes, either continuous conduction mode (CCM) or discontinuous conduction mode (DCM). Their performance is analyzed with the help of following parameters. Buck converter or step-down converter provides output voltage magnitude lesser than the input voltage magnitude. This topology with single pole double throw (SPDT) switch is illustrated in Figure 5. The input DC source is connected to inductor through SPDT switch and a capacitor is connected on the output side. They are useful in connecting high voltage sources to the battery voltages or low voltage applications. The Voltage gain and current gain of the buck converter are less sensitive to the change of duty ratio D. For optimal operation of the converter, the input Impedance (Ri) should match with the optimum resistance (Ropt). As the resistance conversion ratio suggests that the input impendence is always greater than load resistance. Thus the buck converter should operate only when R ≥ RMPP for getting maximum power. Therefore the operating region of buck converter can’t attain the values near the short circuit current. The chief disadvantage of buck converter is the generation of electromagnetic interference in source current wave form. Figure 5 Basic Circuit Configuration of Buck Converter . In some categories, the output voltage is generated through pulse width modulation (PWM) for battery charging. Commonly buck converters are used to track MPP to extract maximum power [74–76]. Some highly efficient microcontroller based buck converters for PV applications are proposed by the researchers . The output power is regulated by using some intelligent approaches to adjust the duty ratio in standalone applications . For battery charging and resistive load feeding, quad-input dual-output converter, this reduces the overall cost of the system . Several new topologies including buck converter with variable inductor to track MPP in micro grid applications, fourth order buck converter to track MPP at all levels of insolation, multi input converters to eliminate the interactions among the control loops, linear current booster to match the PV array characteristics during day time of solar pumping system [80–82]. Boost converter or step-up converter provides output voltage magnitude higher than the input voltage magnitude. Therefore their voltage step-up capability catches the eyes of industrialist for grid-tied solar PV applications. It also performs the function of MPPT by changing the duty ratio. This topology with single pole double throw (SPDT) switch is illustrated in Figure 6. The Voltage gain and current gain of the boost converter are also less sensitive to the change of duty ratio D. For optimal operation of the converter, the input Impedance (Ri) should match with the optimum resistance (Ropt). As the resistance conversion ratio suggests that the input impendence is always smaller than load resistance. Thus the boost converter should operate only when R ≤ RMPP for getting maximum power. Therefore the operating region of buck converter can’t attain the values near the open circuit voltage of that module. The MPP is tracked only when it is operating in operational region. Conventional boost converters are mostly used in the applications related to power factor improvement due to simple circuitry. They had some limitation, while using in high step-up applications like grid-tied PV system [83–85]. Figure 6 Basic Circuit Configuration of Boost Converter . The duty ratio can increase the voltage gain up to infinity by varying the value of D. Therefore the turnoff time period of the switch becomes very small and the current ripple becomes large. The increment in current ripples increases the conduction losses. And number of electrolytic capacitor used. So the cost of the system increases. In grid-tied PV applications the output voltage is often high and comes across the switches and capacitor. The higher voltage stress and hard switching increases the switching and recovery losses. The power level is also restricted by using single switch. The solutions of the above problems are countered by proposing different boost topologies shown in Figure 7. For example interleaved boost topology is effectively increasing the power level, reducing current ripples and passive component size. Further the zero current transition (ZCT) based interleaved boost converter topology is proposed for soft switching. The auxiliary commutation circuitry provides ZCT when the main circuitry is off. The coupled inductors are also used in some topologies to achieve zero current switching (ZCS) to turn on the switches . Two types of coupling are there: one is positive coupling and other is negative coupling. Both can be used for realizing ZCS and to reduce recovery losses. The positive coupling suppresses the current ripples more effectively under hard switching but negative coupling doesn’t suppress the current ripples because of discontinuous conduction mode (DCM). Later on active zero voltage with ZCS turn on and ZVS turn off is proposed in the interleaved category to improve the switching performance and current ripple suppression from same circuit. A lot of other topologies are proposed to reduce all kind of losses and improving the efficiency . Figure 7 Different boost converter topologies . Boost converter are mostly used for grid-tied PV systems. Based on the critical reviews, they have classified in four main categories as shown in Figure 7. Buck-boost converter provides the output voltage magnitude higher or lower than that of input voltage magnitude. The cascaded connection of buck and boost converter is known as buck-boost converter. Figure 8 Basic Circuit Configuration of Buck-Boost Converter . The voltage gain and current gain parameter shows that they are more sensitive towards the change in duty ratio. For D < 0.5, it works as buck converter and for D > 0.5 its works as boost converter. The input impedance is greater than load resistance when it works as buck converter and less then load resistance when it works as boost converter [88, 89]. Cuk converter is used to step-up or step-down the input voltage like buck-boost converter. The polarity of output voltage is reversed by using common terminal at input voltage side. Extra inductor is added in buck-boost topology to filter out DC input and capacitor is added to transfer energy as shown in Figure 9. They are useful in some battery charging applications and hybrid power generating systems [90, 91]. Figure 9 Basic Circuit Configuration of Buck-Boost Converter . The SEPIC converter is used to supply regulated voltage. It works as both buck and boost converter. It has simpler controller and minimum active components. It will provide less noisy operation with clamped switching waveform. The output voltage varies from higher to lower value of input voltage. Two inductors make the large foot prints of power supply. To overcome this problem, the manufacturer starts selling single “off-the-shelf” package of inductor at the approximate same cost of one inductor. This will also reduces the inductance value because of coupling between them. The basic circuit includes coupled inductors, input and output capacitors, one coupling capacitor, one power electronic switch and one diode as shown in Figure 10. For proper operation of SEPIC converter, volt-microsecond balance is maintained across each inductor core . 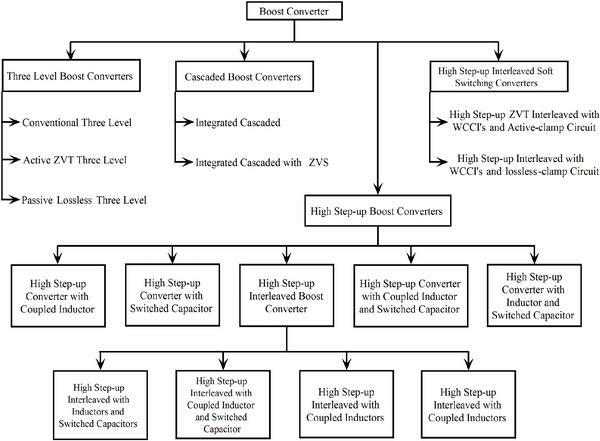 Figure 10 Basic Circuit Configuration of SEPIC Converter . The performance parameters for all the basic DC-DC converters are tabulated in Table 2. The designing of converter is heavily depending on these parameters. They are deciding the operating and non-operating regions of a particular converter. The designing of DC-DC converters plays a vital role in grid-tied PV systems. For better understanding of designing, a comparative analysis of DC-DC converters based on the critical reviews is carried out here . A clear picture of different attributes for basic converter topologies are shown in Table 3. Inverter is useful in converting DC power to AC power for different applications. The installations of grid-tied PV systems are increasing because of rapid development in power electronics technology. Inverter is a vital cog in the line up of grid-tied PV system because it acts as an interfacing medium between the solar PV system and utility. Inverter is also initiating the islanding process after getting low and high signal according to the availability of the grid. In single stage grid-tied system inverter will perform both MPPT and grid synchronization. Grid-tied inverters are classified in three main categories; structural topology, transformer less topology and multi level topology as shown in Figure 11. Structural topologies are further classified as; central type, string type, module type and multi-string type. Central inverter was used for medium voltage applications by combining series and parallel strings. They have some disadvantages like high power losses because of cone MPPT for complete string, poor power quality and high cost. String type inverters are more useful because voltage is boosted by the series connection of inverters in single string. String inverters can have individual MPPTs for every inverter so that losses can be contained. Modulated inverters are used in a big AC module made by single solar panel. The mismatching problem is eliminated but the installation cost increases, which reduces the overall efficiency. Finally the multi-string inverters came in to picture as a combination of all the advantages. One string is a combination of several solar panels connected in series and coupled with DC-DC converter. Each panel in a string is controlled by separate MPPT so that each module can function separately. Figure 11 Classification of inverter topologies. Grid-tied PV inverters are categorized in three main groups. Transformerless topologies are further classified in three categories based on their leakage current characteristics and decoupling techniques as shown in Figure 11 . Zero state decoupled inverters ensure the decoupling of inverter during freewheeling period. And the inverters those perform decoupling and connecting to the mid-point of DC-link comes under zero state mid-point clamped. However solid clamping are categorised separately. The grid-tied system has two important tasks to perform: (1) tracking of maximum power from the solar panels with the help of suitable MPPT converter; and (2) The voltage at the PCC must be sinusoidal and at the same level of grid voltage. Some specific standards are provided by the different international societies for the power utilities across the world. IEEE 1547 standard imposes some limits on maximum allowable current in to the grid. The limit is very small (<0.5% of rated current) and can be improved by galvanic isolation between PV system and the grid. But in case of transformer less inverters it is a big concern and has to set the DC current value with some precision. The EN 50106 standard is dealing with the allowable deviation of voltage at the PCC. The German VDE-0126 is the only standard which deals with the leakage current range in the transform less topologies. They have also defined disconnection time of inverter from the grid when the leakage current increases more than 30 mA. With the availability of so many existing topologies, the choice of inverter is a great deal in grid-tied PV system. The performance of the grid-tied PV system is largely depending on inverter choice. The choice is made only by comparing different attributes and chose according to their applications. Therefore a comparative analysis is necessary and presented in Table 4. Note: 2 – Input Capacitors, 3 – Input Voltage, 4 – Number of Switches, 5 – Diodes, 6 – Output Voltage Level, 7 – Number of MPPT, 8 – Leakage Current, 9 – Maximum Efficiency, 10 – Cost. Grid-tied solar PV system requires proper synchronization with the grid. Control algorithms are very important for the operation of grid-tied PV system. This section includes some basic and frequently used control algorithms for the inverter control. Generally two control loops i.e inner current loop and outer voltage loop are required for synchronizing PV inverter with the grid so that the inverter ensures the controlled flow of active and reactive power to the grid. Decoupled control is used for controlling active and reactive power. It also maintains the DC-link voltage and responds very well during transient and load varying conditions. Different control algorithms are represented in Figure 12. There are two kind of current control schemes i.e direct and indirect controls are available in the literature. Generally indirect current control technique is used to generate the PWM signal for the inverter because of its better performance over direct current control. 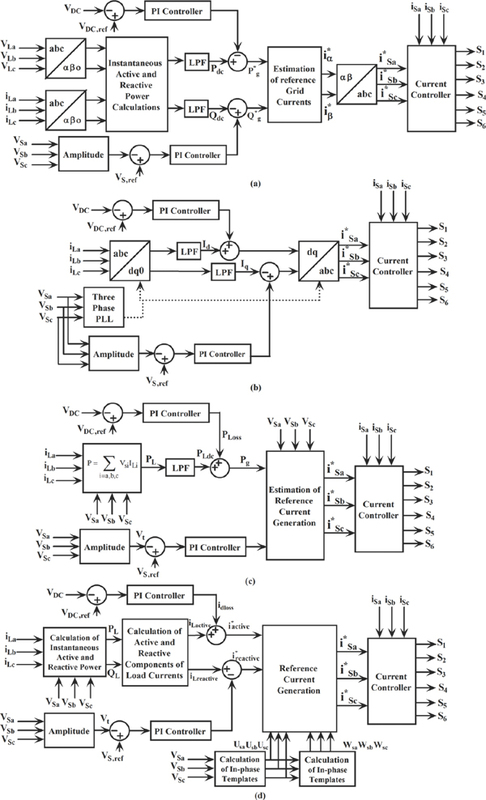 Figure 12 Different control algorithms used for inverter control: (a) IRP based control ; (b) SRF based control ; (c) ISC based ; (d) PB based control . In instantaneous reactive power theory the point of common coupling currents and voltages are first transformed in to αβ0 coordinate system as shown in Figure 12(a). Calculated instantaneous active and reactive contains both DC and oscillating components. Low pass filter (LPF) is used to separate out the DC components. The DC component of active power is the fundamental power of the load and used for in reference current calculation while DC component of reactive power maintains the voltage level of the grid by injecting small amount of reactive power with the help of PI controller output, which is regulated by the three phase voltage amplitude. The reference currents are calculated with the help of calculated reference active and reactive powers of the grid. These reference currents are compared with the source currents to generate the gate signals for the switches of the inverter [115, 116]. This control algorithm has fast response with minimum error between calculated and reference signals. The load currents and voltages are sensed back and transformed in to rotating dq0 reference frame. The transformation of stationary to rotating frame reference will take two conversion steps. First convert abc coordinate system into αβ0 coordinate system with the help of Clark’s transformation for calculating the value of angle by which the signals are shifted from their original signal. After this the stationary αβ0 coordinate system converted into rotating dq0 frame by using park’s transformation. Both fundamental and harmonics components are present there in d-axis and q-axis currents as shown in Figure 12(b). The transformed current signals are passed through LPF to separate out the DC and oscillating components from their respective active and reactive components . On the other hand in dq-control the direct transformation will take place with the help of some dq0 transformation. PLL is used for generating the desired angle. The instantaneous symmetrical component theory is basically used for power factor correction and load balancing in three phase three-wire or three-phase four wire system. First of all the sequence components are calculated from the extracted feedback signals of load current with the help of symmetrical components . The main aim is to remove the zero sequence components so that load balancing can achieve. The power factor correction can be achieved by suppressing the reactive power components to zero . The DC link voltage takes care of the active and reactive power supplied to the grid. The scheme of reference current generation is shown in Figure 12(c). Power balanced theory is a simple concept of balancing the power at the PCC, so that harmonics can be eliminated at ease. The first step is the calculation of instantaneous active and reactive power demand. The active and reactive power contains both DC and AC components. Fundamental component of current is generated by using LPF. The error produced by the comparison of reference and calculated DC voltage gives the loss component as an output of PI controller. The addition of both the active component and loss component will give total active component for grid currents . Finally the reference currents are calculated by multiplying in-phase template with active components serially as represented in Figure 12(d). The current synchronous detection based control is based on the concept of unit template generation and used to extract the reference grid currents for active and reactive power control. The unit templates of in-phase and qudrature voltage are generated, when source voltage is divided by calculated magnitude of source voltages. The next step includes the calculation of instantaneous true and wattles power. The DC components of both powers are extracted with the help of LPF. The reference true power is computed by adding regulated output of PI controller and DC component containing only fundamental . The reference true power is used to generate the reference current components for pulse generation. There are dozens of control algorithms which are available in the literature for inverter control in grid-tied solar photovoltaic system. The control of inverters leaves a great impact on the system performance. The synchronization process and improved power quality is purely depending on the inverter control. The comparative analysis of different inverter control algorithms provides a complete idea about their performance indices. Table 5 presents comparison of different control algorithms. A detailed literature survey is carried out in vicinity of grid-tied PV systems. This paper presents a detailed modelling of PV system with the help of suitable mathematical analysis and PV array construction for high power applications. More than 30 MPPT methods available in literature are thoroughly reviewed and compared on behalf of different attributes. The comparative analysis is helpful in guiding the researchers for choosing suitable MPPT method according to their application. The DC-DC converters are also classified and their operating regions are defined with the help their performance parameters. They are critically reviewed and comparative study is presented. Classifications of single phase inverters are outlined and analysed critically to present their comparative study. Different control techniques such as instantaneous reactive power based control, synchronous reference frame based control, power balance based control etc. are analysed thoroughly and their control algorithms are presented for better understanding. According to developed review, conclusions can be made that grid-tied PV systems are proving to be a viable solution in support of heavy loaded grid. The abundance of solar light and advancement in power electronics technologies, continuously give popularity to PV systems. A comparative study of different components will help the researchers, engineers and scientists to select the best topology and control method for their particular applications. The continuous research in the field of material and power electronics technologies will reduce the overall cost and increases the system efficiency. The author intended that this comprehensive review will be fruitful to the researches and engineering working in the area of grid-tied PV system. de Oliveira, F. M., da Silva, S. A. O., Durand, F. R., Sampaio, L. P., Bacon, V. D., and Campanhol, L. B. (2016). Grid-tied photovoltaic system based on PSO MPPT technique with active power line conditioning. IET Power Electron. 9, 1180–1191. Singh, B., Jain, C., Goel, S., Gogia, R., and Subramaniam, U. (2017). A sustainable solar photovoltaic energy system interfaced with grid-tied voltage source converter for power quality improvement. Electric Power Compon. Syst. 45, 171–183. Verma, A. K., Singh, B., and Kaushika, S. C. (2013). A standalone solar photovoltaic power generation using cuk converter and single phase inverter. J. Instit. Eng. B 94, 1–12. Ray, S., Gupta, N., and Gupta, R. A. (2016). A comprehensive review on cascaded H-bridge inverter-based large-scale grid-connected photovoltaic. IETE Techn. Review, pp.1–15, 2016. Kumar, S., Verma, A. K., Hussain, I., Singh, B., and Jain, C. (2017). Better control for a solar energy system using improved enhanced phase-locked loop-based control under variable solar intensity. IEEE Ind. Appl. Magaz. 23, 24–36. Singh, B., Shahani, D. T., and Verma, A. K. (2016). Neural network controlled grid interfaced solar photovoltaic power generation. IET Power Electron. 7, 614–626. Mahela, O. P., and Shaik, A. G. (2017). Comprehensive overview of grid interfaced solar photovoltaic systems. Renew. Sustain. Energy Rev. 68, 316–332. Verma, A. K., Singh, B., Shahani, D. T., and Jain, C. (2016). Grid-interfaced solar photovoltaic smart building with bidirectional power flow between grid and electric vehicle with improved power quality. Elect. Power Comp. Syst. 44, 480–494. Rahman, S. A., Varma, R. K., and Vanderheide, T. (2014). Generalised model of a photovoltaic panel. IET renewable power generation. 8, 217–229. Villalva, M. G., Gazoli, J. R., and Filho, E. R. (2009). Comprehensive approach to modeling and simulation of photovoltaic arrays. IEEE Transact. Power Electron. 24, 1198–1208. Bellia, H., Youcef, R., and Fatima, M. (2014). A detailed modelling of photovoltaic module using MATLAB. NRIAG J. Astron. Geophys. 3, 53–61. Ding, K., Bian, X., Liu, H., and Peng, T. (2012). A MATLAB-simulink-based PV module model and its application under conditions of non-uniform irradiance. IEEE Trans. Energy Convers. 27, 864–872. Uoya, M., and Koizumi, H. (2015). A calculation method of photovoltaic array’s operating point mppt evaluation based on one-dimensional newton–raphson method. IEEE Trans. Ind. Appl. 51, 567–575. Lun, S., Wang, S., Yang, G., and Guo, T. (2015). A new explicit double-diode modelling method based on lambert W-function for photovoltaic arrays. Solar Energy. 116, 69–82. Salmi, T., Bouzguenda, M., Gastli, A., and Masmoudi, A. (2012). Matlab/simulink based modeling of photovoltaic cell. Int. J. Renew. Energy Res. 2, 213–218. Chouder, A., Silvestre, S., Sadaoui, N., and Rahmani, L. (2012). Modeling and simulation of a grid connected PV system based on the evaluation of main PV module parameters. Simulat. Modell. Pract. Theory 20, 46–58. Ishaque, K., Salam, Z., Taheri, H., and Syafaruddin. (2011). Modelling and simulation of photovoltaic (PV) system during partial shading based on a two-diode model. Simulat. Model. Pract. Theory 19, 1613–1626. Psarros, G. N., Batzelis, E. I., and Papathanassiou, S. A. (2015). Partial shading analysis of multistring PV arrays and derivation of simplified MPP expressions. IEEE Trans. Sustain. Energy 6, 499–508. Krismadinata, N. A., Rahim, H. W., Ping and Selvaraj, J. (2013). Photovoltaic module modelling using simulink/Matlab. Proc. Environ. Sci. 17, 537–546. Herrmann, W., and Wiesner, W. (1996). “Current-voltage translation procedure for PV generators in the German 1000 roofs-programme,” in proceedings of the EUROSUN conference, Freiburg. Manna, D. L., Vigni, V. L., Sanseverino, E. R., Dio, V. D., and Romano, P. (2014). Reconfigurable electrical interconnection strategies for photovoltaic arrays: a review. Renew. Sustain. Energy Rev. 33, 412–426. Ramaprabha, R., and Mathur, B. L. (2012). A comprehensive review and analysis of solar photovoltaic array configurations under partial shaded conditions. Int. J. Photo Energy. 2012. Joshi, P., and Arora, S. (2016). Maximum power point tracking methodologies for solar pv systems–a review. Renew. Sustain. Energy Rev. 2016. Esram, T., and Chapman, P. L. (2007). Comparison of photovoltaic array maximum power point tracking techniques. IEEE Trans. Energy Conv. 22, 439–449. Reisi, A. R., Moradi, M. H., and Jamasb, S. (2013). Classification and comparison of maximum power point tracking techniques for photovoltaic system: a review. Renew. Sustain. Energy Rev. 19, 433–443. Bhatnagar, P., and Nema, R. K. (2013). Maximum power point tracking control techniques state-of-the-art in photovoltaic applications. Renew. Sustainable Energy Rev. 23, 224–241. Salam, Z., Ahmed, J., and Merugu, B.S. (2013). The application of soft computing methods for MPPT of PV system a technological and status review. Appl. Energy 107, 135–148. Eltawil, M. A., and Zhao, Z. (2013). MPPT techniques for photovoltaic applications. Renew. Sustain. Energy Rev. 25, 793–813. Subudhi, B., and Pradhan, R. (2013). A comparative study on maximum power point tracking techniques for photovoltaic power systems. IEEE Trans. Sustain. Energy 4, 89–98. Rezk, H., and Eltamaly, A. M. (2013). A comprehensive comparison of different MPPT techniques for photovoltaic systems. Solar Energy, 112, 1–11. Babaa, S. E., Armstrong, M., and Pickert, V. (2014). Overview of maximum power point tracking control methods for PV systems. J. Power Energy Eng. 2014. Hart, G. W., Branz, H. M., and Cox, C. H. (1984). Experimental tests of open-loop maximum-power-point tracking techniques for photovoltaic arrays. Solar Cells 13, 185–195. Masoum, M. A., Dehbonei, H., and Fuchs, E. F. (2002). Theoretical and experimental analyses of photovoltaic systems with voltage and current-based maximum power-point tracking. IEEE Trans. Energy Convers. 17, 514–522. Ghaisari, J., Habibi, M., and Bakhshai, A. (2017). “An MPPT controller design for photovoltaic (PV) systems based on the optimal voltage factor tracking,” in proceedings of the Electrical Power Conference (EPC), Canada, 359–362. Solodovnik, E. V., Liu, S., and Dougal, R. A. (2004). Power controller design for maximum power tracking in solar installations. IEEE Trans. Power Electron. 19, 1295–1304. Takashima, T., Tanaka, T., Amano, M., and Ando, Y. (2000). “Maximum output control of photovoltaic (PV) array,” in proceedings on Energy Conversion Engineering Conference and Exhibit, 35th Intersociety, 1, 380–383. Jain, S., and Agarwal, V. (2004). A new algorithm for rapid tracking of approximate maximum power point in photovoltaic systems. IEEE Power Electron. Lett. 2, 16–19. Li, J., and Wang, H. (2009). “Maximum power point tracking of photovoltaic generation based on the optimal gradient method,” in Proceedings of IEEE Conference on Power and Energy Engineering Conference, 1–4. Rodriguez, C. and Amaratunga, G. A. (2007). Analytic solution to the photovoltaic maximum power point problem. IEEE Trans. Circ. Syst. 54, 2054–2060. Altas, I. H., and Sharaf, A. M. (1996). A novel on-line MPP search algorithm for PV arrays. IEEE Trans. Energy Convers. 11, 748–754. Arias, J., Linera, F. F., Martin-Ramos, A. M., Pernia, and Cambronero, J. (2004). “A modular PV regulator based on microcontroller with maximum power point tracking,” in Proceedings of IEEE conference on Industry Applications, 39th IAS Annual Meeting, 2, 1178–1184. Kislovski, A. S., and Redl, R. (1994). “Maximum-power-tracking using positive feedback,” in Proceedings of Power Electronics Specialists Conference (PESC), 25th Annual Meeting, 2, 1065–1068. Chung, H. H., Tse, K. K., Hui, S. R., Mok, C. M., and Ho, M. T. (2003). A novel maximum power point tracking technique for solar panels using a SEPIC or Cuk converter. IEEE Trans. Power Electron. 18, 717–724. Matsui, M., Kitano, T., Xu, D. H., and Yang, Z. Q. (1999). “A new maximum photovoltaic power tracking control scheme based on power equilibrium at DC link,” in Proceedings of Industry Applications Conference, Thirty-Fourth IAS Annual Meeting, 2, 804–809. Brunton, S. L., Rowley, C. W., Kulkarni, S. R., and Clarkson, C. (2010). Maximum power point tracking for photovoltaic optimization using ripple-based extremum seeking control. IEEE Trans. Power Electron. 25, 2531–2540. Peng, F. (2004). “A novel method to estimate the maximum power for a photovoltaic inverter system,” in Proceedings of Power Electronics Specialists Conference PESC, 3, 2065–2069. Giustiniani, A., Petrone, G., Spagnuolo, G., and Vitelli, M. (2010). Low-frequency current oscillations and maximum power point tracking in grid-connected fuel-cell-based systems. IEEE Trans. Ind. Electron. 57, 2042–2053. Femia, N., Granozio, D., Petrone, G., Spagnuolo, G., and Vitelli, M. (2006). Optimized one-cycle control in photovoltaic grid connected applications. IEEE Trans. Aerospace Electron. Syst. 42. Bendib, B., Belmili, H., and Krim, F. (2005). A survey of the most used MPPT methods: Conventional and advanced algorithms applied for photovoltaic systems. Renew. Sustain. Ener. Rev. 45, 637–648. Ishaque, K., Salam, Z., and Lauss, G. (2014). The performance of perturb and observe and incremental conductance maximum power point tracking method under dynamic weather conditions. Appl. Energy 119, 228–236. Piegari, L., and Rizzo, R. (2010). Adaptive perturb and observe algorithm for photovoltaic maximum power point tracking. IET Renew. Power Generat. 4, 317–328. Kuo, Y. C., Liang, T. J., and Chen, J. F. (2015). Novel maximum-power-point-tracking controller for photovoltaic energy conversion system. IEEE Trans. Ind. Electron. 48, 594–601. Bodur, M., and Ermis, M. (1994). “Maximum power point tracking for low power photovoltaic solar panels,” in Proceedings of 7th Mediterranean Electrotechnical Conference, 758–761. Zhang, M., Wu, J., and Zhao, H. (2004). “The application of slide technology in PV maximum power point tracking system,” in Proceedings of Fifth World Congress on Intelligent Control and Automation, 6, 5591–5594. Jiang, J. A., Huang, T. L., Hsiao, Y. T. and Chen, C. H. (2005). Maximum power tracking for photovoltaic power systems. Air. Lib. 8, 147–153. Brambilla, A., Gambarara, M., Garutti, A. and Ronchi, F. (1999). “New approach to photovoltaic arrays maximum power point tracking,” in Proceedings of 30th annual Power Electronics Specialists Conference, 2, 632–637. Faranda, R., Leva, S., and Maugeri, V. (2008). “MPPT techniques for PV systems: Energetic and cost comparison,” in Proceedings of Power and Energy Society General Meeting-Conversion and Delivery of Electrical Energy, 1–6. Zhang, L., Hurley, W. G., and Wölfle, W. H. (2011). A new approach to achieve maximum power point tracking for PV system with a variable inductor. IEEE Trans. Power Electron. 26, 1031–1037. Mei, Q., Shan, M., Liu, L., and Guerrero, J. M. (2011). A novel improved variable step-size incremental-resistance MPPT method for PV systems. IEEE Trans. Ind. Electron. 58, 2427–2434. Veerachary, M., Senjyu, T., and Uezato, K. (2003). Neural-network-based maximum-power-point tracking of coupled-inductor interleaved-boost-converter-supplied PV system using fuzzy controller. IEEE Trans. Ind. Electron. 50, 749–758. Chiu, C. S. (2010). TS fuzzy maximum power point tracking control of solar power generation systems. IEEE Trans. Energy Convers. 25, 1123–1132. Zhou, L., Chen, Y., Guo, K., and Jia, F. (2011). New approach for MPPT control of photovoltaic system with mutative-scale dual-carrier chaotic search. IEEE Trans. Power Electron. 26, 1038–1048. Pai, F. S., Chao, R. M., Ko, S. H., and Lee, T. S. (2011). Performance evaluation of parabolic prediction to maximum power point tracking for PV array. IEEE Trans. Sustain. Energy 2, 60–68. Keyrouz, F., and Georges, S. (2011). “Efficient Multidimensional Maximum Power Point Tracking using Bayesian Fusion,” in Proceedings of 2nd IEEE conference on Electric Power and Energy Conversion Systems (EPECS), Sharjah, 1–5. Ishaque, K., Salam, Z., Amjad, M., and Mekhilef, S. (2012). An improved particle swarm optimization (PSO)–based MPPT for PV with Reduced Steady-state oscillation. IEEE Trans. Power Electron. 27, 3627–3638. Mahammad, A. K., Saon, S., and Chee, W. S. (2012). Development of optimum controller based on MPPT for photovoltaic system during shading condition. Procedia Eng. 53, 337–346. Besheer, A. H., and Adly, M. (2012). “Ant colony system based PI maximum power point tracking for standalone photovoltaic system,” in Proceedings of IEEE International Conference on Industrial Technology (ICIT), Toronto, ON, 693–698. Veerachary, M., and Yadaiah, N. (2000). ANN based peak power tracking for PV supplied DC motors. Solar Energy 69, 343–350. Chen, L. R., Tsai, C. H., Lin, Y. L., and Lai, Y. S. (2010). A biological swarm chasing algorithm for tracking the PV maximum power point. IEEE Trans. Energy Convers. 25, 484–493. Anjana, P., Kumar, A., Gupta, N., Gupta, V., and. Tiwari, H. P. (2017). Optimization based shunt APF controller to mitigate reactive power, burden of neutral conductor, current harmonics and improve cosϕ. J. Electr. Syst. 13, 131–142. Nguyen, T. L., and Low, K. S. (2010). A global maximum power point tracking scheme employing DIRECT search algorithm for photovoltaic systems. IEEE Trans. Ind. Electr. 57, 3456–3467. Ahmed, N. A., and Miyatake, M. (2008). A novel maximum power point tracking for photovoltaic applications under partially shaded insolation conditions. Electr. Power Syst. Res. 78, 777–784. Solodovnik, E. V., Liu, S., and Dougal, R. A. (2004). Power controller design for maximum power tracking in solar installations. IEEE Trans. Power Electr. 19, 1295–1304. Umanand, L. (2009). Power Electronics Essentials and Applications. (New York, NY: Wiley). Zeng, J., Qiao, W., and Qu, L. (2000). “A single-switch isolated DC-DC converter for photovoltaic systems,” in Proceedings of IEEE Energy Conversion Congress and Exposition, Fredericton, NB, 3446–3452. Hu, Y., Cao, W., Ji, B., Si, J., and Chen, X. (2015). New multi-stage DC-DC converters for grid-connected photovoltaic systems. Renewable Energy 74, 247–254. Koutroulis, E., Kalaitzakis, K., and Voulgaris, N. C. (2001). Development of a microcontroller-based, photovoltaic maximum power point tracking control system. IEEE Trans. Power Electr. 16, 46–54. Farahat, M. A., Metwally, H. M. B., and Mohamed, A. A. E. (2012). Optimal choice and design of different topologies of DC-DC converter used in PV system at different climatic conditions in Egypt. Renewable Energy 43, 393–402. Duran, E., Andujar, J. M., Segura, F., and Barragan, A. J. (2011). A high-flexibility DC load for fuel cell and solar arrays power sources based on DC-DC converters. Appl. Energy 88, 1690–1702. Taghvaee, M. H., Radzi, M. A. M., Moosavain, S. M., Hizam, H., and Marhaban, M. H. (2013). A current and future study on non-isolated DC-DC converters for photovoltaic applications. Renewable Sustain. Energy Rev. 17, 216–227. Walker, G. R., and Sernia, G. R. (2004). Cascaded DC-DC converter connection of photovoltaic modules. IEEE Trans. Power Electron. 19, 1130–1139. Jou, H. L., Chang, Y. H., Wu, J. C., and Wu, K. D. (2015). Operation strategy for a lab-scale grid-connected photovoltaic generation system integrated with battery energy storage. Energy Convers. Manag. 89, 197–204. Kim, H. S., Kim, J. H., Min, B. D., Yoo, D. W., and Kim, H. J. (2009). A highly efficient PV system using a series connection of DC-DC converter output with a photovoltaic panel. Renewable Energy 34, 2432–2436. Edwin, F., Xiao, W., and Khadkikar, V. (2012). 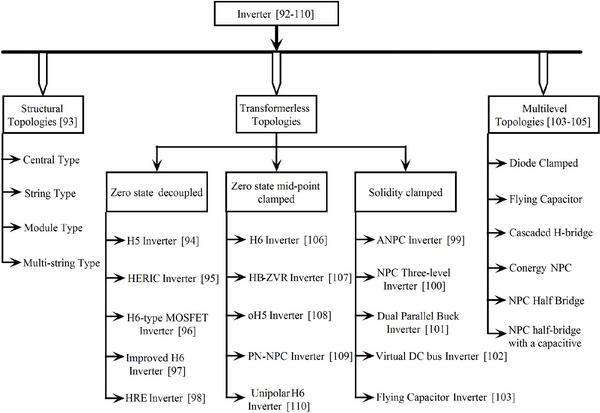 “Topology review of single phase grid-connected module integrated converters for PV applications,” in Proceedings of Thirty Eighth Annual Conference on IEEE Industrial Electronics Society, 821–827. Li, Q., and Wolfs, P. (2008). A review of the single phase photovoltaic module integrated converter topologies with three different DC link configurations. IEEE Trans. Power Electron. 23, 1320–1333. Li, W., and He, X. (2011). Review of non-isolated high-step-up DC/DC converters in photovoltaic grid-connected applications. IEEE Trans. Ind. Electron. 58, 1239–1250. Orellana, M., Petibon, S., Estibals, B., and Alonso, C., (2010). “Four switch buck-boost converter for photovoltaic DC-DC power applications,” in Proceedings of 36th Annual Conference on IEEE Industrial Electronics Society, Glendale, AZ, 469–474. Nousiainen, L., and Suntio, T. (2012). “Dual-mode current-fed semi-quadratic buck-boost converter for transformerless modular photovoltaic applications,” in Proceedings of 14th European Conference on Power Electronics and Applications, Birmingham, 1–10. Darwish, A., Holliday, D., Ahmed, S., Massoud, A. M., and Williams, B. W. (2014). A single-stage three-phase inverter based on Cuk converters for PV applications. IEEE Journal of Emerging and Selected Topics in Power Electronics, 2, 797–807. Islam, M., Mekhilef, S., and Hasan, M. (2015). Single phase transformerless inverter topologies for grid-tied photovoltaic system: A review. Renew. Sustain. Energy Rev. 45, 69–86. Xiao, B., Hang, L., Mei, J., Riley, C., Tolbert, L. M., and Ozpineci, B. (2015). Modular cascaded H-bridge multilevel PV inverter with distributed MPPT for grid-connected applications. IEEE Trans. Ind. Appl. 51, 1722–1731. Victor, M., Greizer, F., Bremicker, S., and Hübler, U. (2008). Method of converting a direct current voltage from a source of direct current voltage, more specifically from a photovoltaic source of direct current voltage, into a alternating current voltage. US Patent No. 7411802 B2. Washington, DC: U.S. Patent and Trademark Office. Yang, Y., Blaabjerg, F., and Wang, H. (2008). Low-voltage ride-through of single-phase transformerless photovoltaic inverters. IEEE Trans. Ind. Appl. 5, 1942–1952. Yu, W., Lai, J. S. J., Qian, H., and Hutchens, C. (2011). High-efficiency MOSFET inverter with H6-type configuration for photovoltaic non-isolated AC-module applications. IEEE Trans. on Power Electron. 26, 1253–1260. Yang, B., Li, W., Gu, Y., Cui, W., and He, X. (2012). Improved transformerless inverter with common-mode leakage current elimination for a photovoltaic grid-connected power system. IEEE Trans. Power Electron. 27, 752–762. Gu, B., Dominic, J., Lai, J. S., Chen, C. L., LaBella, T., and Chen, B. (2013). High reliability and efficiency single-phase transformerless inverter for grid-connected photovoltaic systems. IEEE Trans. Power Electron. 28, 2235–2245. González, R., Gubía, E., López, J., and Marroyo, L. (2008). Transformerless single-phase multilevel-based photovoltaic inverter. IEEE Trans. In., Electron. 55, 2694–2702. Bruckner, T., Bernet, S., and Guldner, H. (2005). The active NPC converter and its loss-balancing control. IEEE Trans. Ind. Electron. 52, 855–868. Araújo, S. V., Zacharias, P., and Mallwitz, R. (2010). Highly efficient single-phase transformerless inverters for grid-connected photovoltaic systems. IEEE Trans. Ind. Electron. 57, 3118–3128. Gu, Y., Li, W., Zhao, Y., Yang, B., Li, C., and He, X. (2013). Transformerless inverter with virtual DC bus concept for cost-effective grid-connected PV power systems. IEEE Trans. Power Electron. 28, 793–805. Daher, S., Schmid, J., and Antunes, F. L. (2008). Multilevel inverter topologies for stand-alone PV systems. IEEE Trans. Ind. Electron. 55, 2703–2712. Rodriguez, J., Lai, J. S., and Peng, F. Z. (2015). Multilevel inverters: a survey of topologies, controls, and applications. IEEE Trans. Ind. Electron. 49, 724–738. Kouro, S., Malinowski, M., Gopakumar, K., Pou, J., Franquelo, L. G., Wu, B., et al. (2010). Recent advances and industrial applications of multilevel converters. IEEE Trans. Ind. Electron. 57, 2553–2580. Chen, Y., and Smedley, K. (2008). Three-phase boost-type grid-connected inverter. IEEE Trans. Power Electron. 23, 2301–2309. She, M. H., and Zheng, X. J. (2013). “Analysis on the monopolar three-phase solar grid-connected current source inverter,” in Proceedings of Fourth International Conference on Digital Manufacturing and Automation (ICDMA), 244–249. Chen, Y., and Smedley, K. M. (2008). One-cycle-controlled three-phase grid-connected inverters and their parallel operation. IEEE Trans. Ind. Appl. 44, 663–671. Chen, L., Amirahmadi, A., Zhang, Q., Kutkut, N., and Batarseh, I. (2014). Design and implementation of three-phase two-stage grid-connected module integrated converter. IEEE Trans. Power Electron. 29, 3881–3892. Fri, A., El Bachtiri, R., and El Ghzizal, A. (2009). A comparative study of three topologies of three-phase (5L) inverter for a PV system. Energy Proc. 42, 436–445. Mastromauro, R. A., Liserre, M., Kerekes, T., and Dell’Aquila, A. (2009). A single-phase voltage-controlled grid-connected photovoltaic system with power quality conditioner functionality. IEEE Trans. Ind. Electron. 56, 4436–4444. Patel, H., and Agarwal, V. (2010). Investigations into the performance of photovoltaics-based active filter configurations and their control schemes under uniform and non-uniform radiation conditions. IET Renew. Power Gen. 4, 12–22. Sasaki, H., and Machida, T. (1971). A new method to eliminate AC harmonic currents by magnetic flux compensation-considerations on basic design. IEEE Trans. Power Apparat. Syst. 5, 2009–2019. Salmeron, P., Herrera, R. S., and Vazquez, J. R. (2008). A new approach for three-phase loads compensation based on the instantaneous reactive power theory. Electric Power Syst. Res. 78, 605–617. Singh, B., Shahani, D. T., and Verma, A. K. (2013). “IRPT based control of a 50 kw grid interfaced solar photovoltaic power generating system with power quality improvement,” in Proceedings of 4th IEEE International Symposium on Power Electronics for Distributed Generation Systems (PEDG), 1–8. Kumar, A., Anjana, P., Tiwari, H., and Gupta, V. (2016). “Modified PQ technique to mitigate power quality problems in distribution system,” in Proceedings of IEEE International Conference on Power Electronics, Intelligent Control and Energy Systems (ICPEICES), 1–6. Verma, A. K., Singh, B., and Shahani, D. T. (2012). “Grid interfaced solar photovoltaic power generating system with power quality improvement at AC mains,” in Proceedings of Third IEEE International Conference on Sustainable Energy Technologies (ICSET), 177–182. Verma, A. K., Singh, B., Shahani, D. T., Chandra, A., and Al-Haddad, K. (2014). “Combined operation of a VSC based grid interfaced solar photovoltaic power generation system with night time application,” in Proceedings of IEEE PES General Meeting Conference & Exposition, 1–5. Ghosh, A., and Joshi, A. (2000). A new approach to load balancing and power factor correction in power distribution system. IEEE Trans. Power Deliv. 15, 417–422. Singh, B., Shahani, D. T., and Verma, A. K. (2012). “Power balance theory based control of grid interfaced solar photovoltaic power generating system with improved power quality,” in Proceedings of IEEE International Conference on Power Electronics, Drives and Energy Systems (PEDES), 1–7. Verma, A. K., Singh, B., and Shahani, D. T. (2013). “Current synchronous detection based control of grid interfaced solar photovoltaic power generating system,” in Proceedings of 2013 Annual IEEE India Conference (INDICON), 1–6. Ridley, R. (2006). “Analyzing the SEPIC Converter,” Power Systems Design Europe, 14–18. T. Instruments (2008). “Designing DC/DC converters based on SEPIC topology,” in Texas Instruments Application Note, (Dallas, TX: Texas Instruments). Ajay Kumar graduated in Electrical and Electronics Engineering from Haryana College of Technology and Management Kaithal affiliated to Kurukshetra University in 2012 and completed M.Tech. in the field of Power System at Department of Electrical Engineering of Malaviya National Institute of Technology Jaipur. 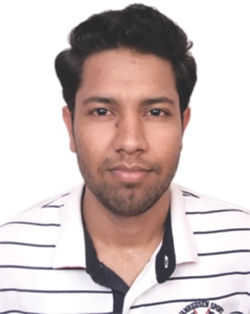 Currently he is pursuing Ph.D. degree in the field of Power Electronics at Department of Electrical Engineering of Malaviya National Institute of Technology Jaipur. His areas of interest are Power Quality, Renewable Integration and Application of Power Electronics in Power System. He is a student member of IEEE. Nitin Gupta graduated in electrical engineering from the Government Engineering College, Kota, in 2000. He received his Master of Engineering in power electronics in 2008 from College of Technology and Engineering (CTAE), Udaipur, and his Ph.D. in electrical engineering from Indian Institute of Technology (I.I.T.) Roorkee as full-time research scholar under MHRD in 2012. He has more than 10 years teaching and research experience and is presently an assistant professor in the Department of Electrical Engineering, MNIT, Jaipur. 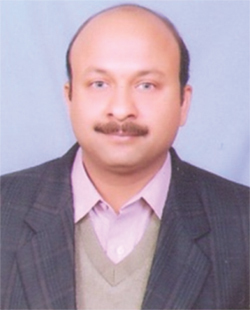 He is a reviewer of several international journals and international conferences. His areas of interest include power electronics and drives, power quality, renewable energy grid integration, APFs, and multi-level inverters. Vikas Gupta received his B.E. (electrical) from University of Jodhpur in 1979; his M.S. in electrical engineering from University of Saskatoon, Canada, in 1984; and his Ph.D. in 1992 from University of Rajasthan, India. In 1985, he joined the Department of Electrical Engineering, Malaviya Regional Engineering College, Jaipur (presently MNIT, Jaipur), as a lecturer. 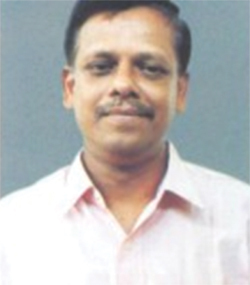 Presently he is an associate professor in and head of the Department of Electrical Engineering, MNIT, Jaipur, India. He is a fellow of the Institute of Engineers (India) and member of the IEEE. His research interests include power system dynamics, electrical machines, drives and non-conventional energy sources. Journal of Green Engineering, Vol. 7, 213–254.